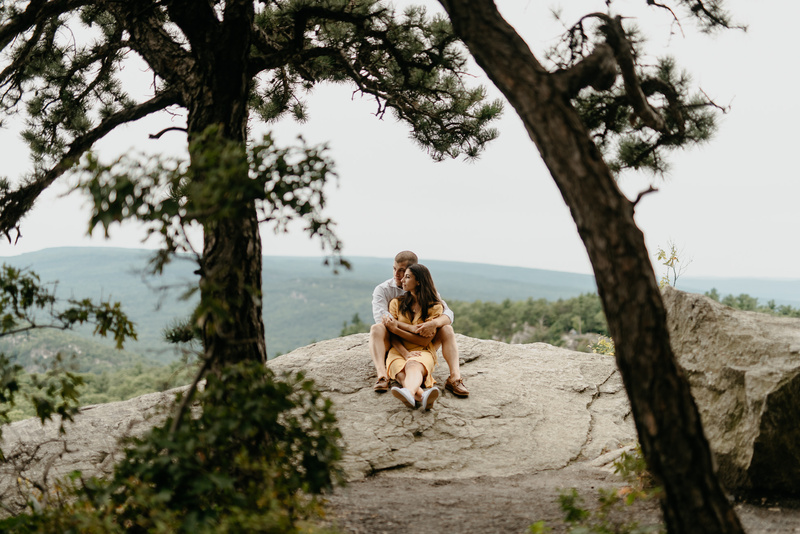 We have this really strong captivation with being in the mountains exploring so we’re pretty lucky to live where do. 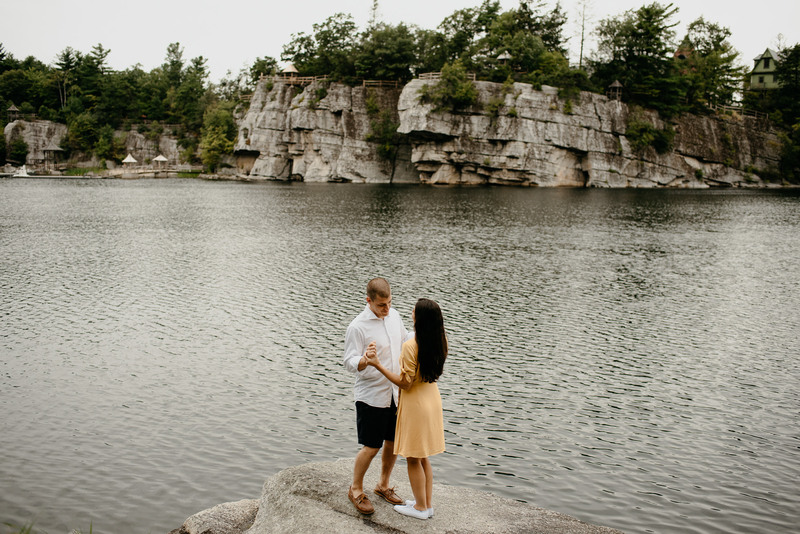 Drive an hour north and we’re in Upstate NY in our comfort zone (but let’s skip talking about the fun of driving through NYC or the Bronx before we get there). 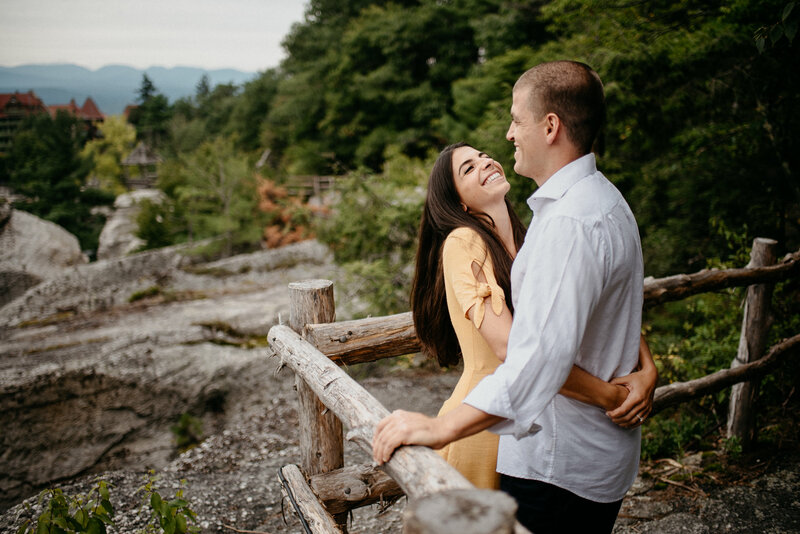 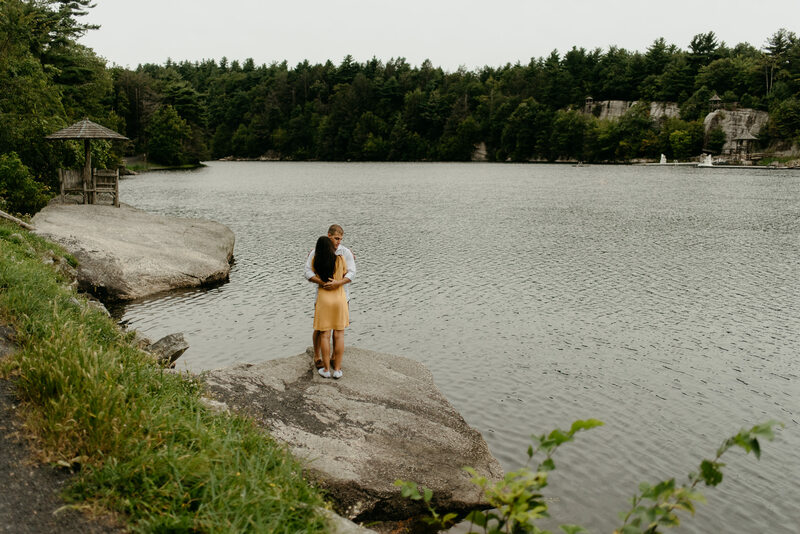 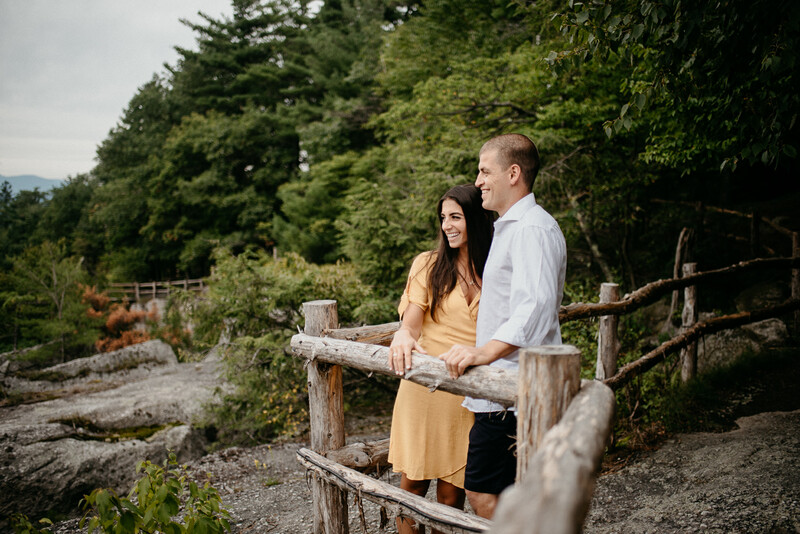 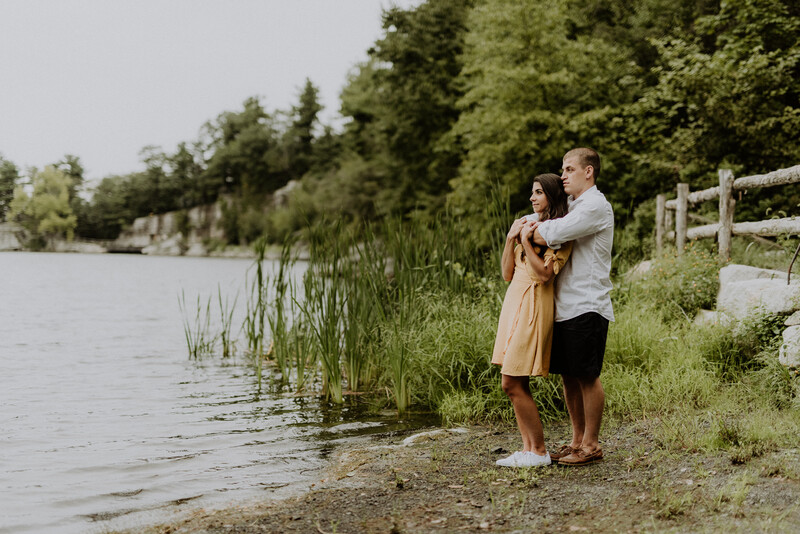 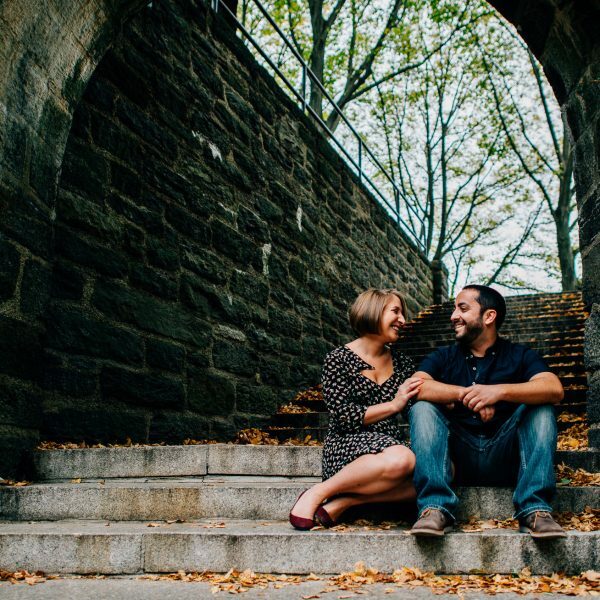 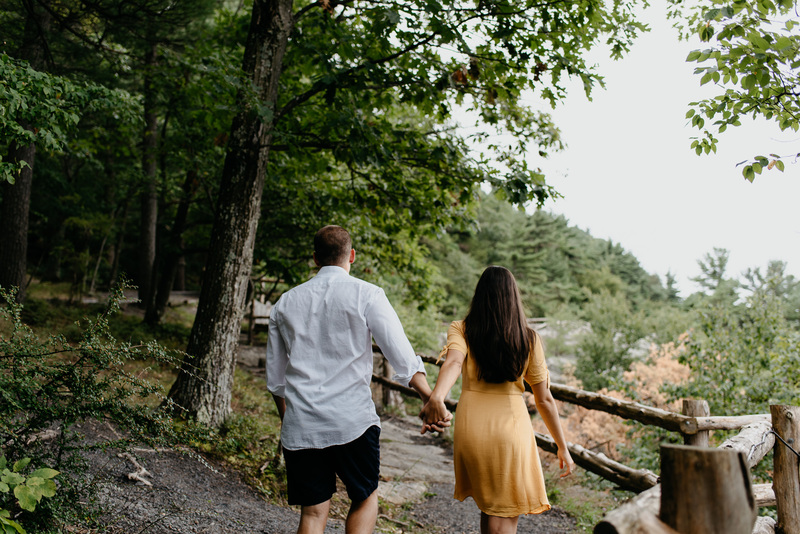 Photographing Michelle & John’s Mohonk Mountain House engagement session was about as perfect as it gets for us. 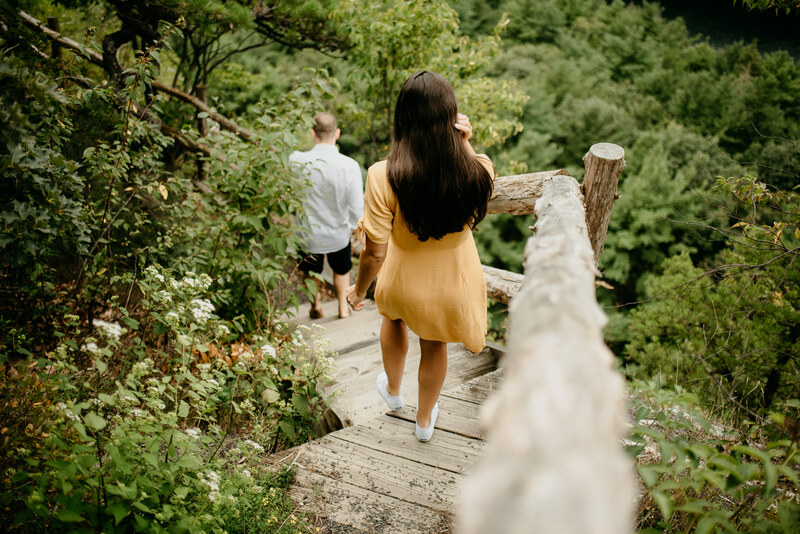 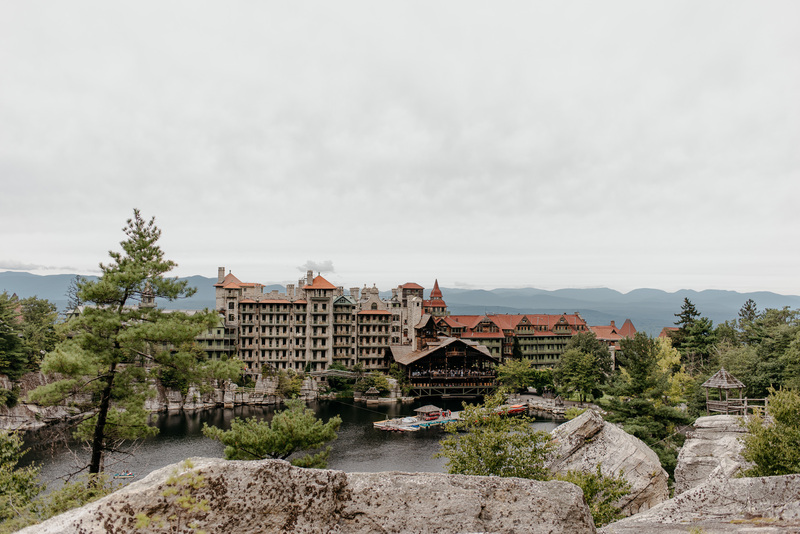 If you haven’t been, Mohonk is just outside of the Catskill Mountains (another one of our favorite spots in New York) and is a stunning old hotel with an insanely beautiful property full of hiking trails and cliffs overlooking the vast landscape. 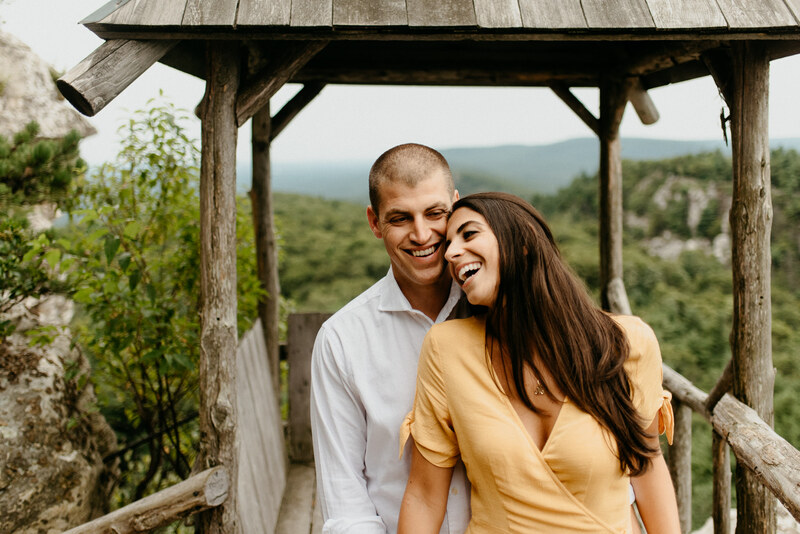 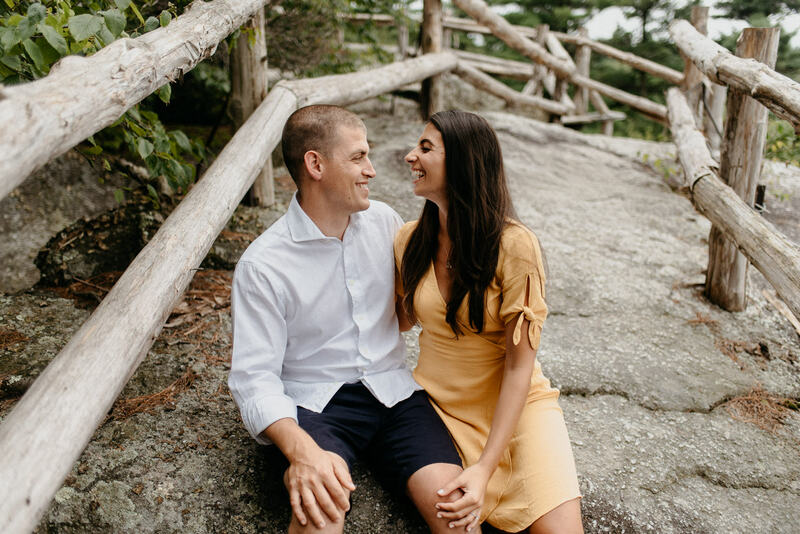 When you add in a couple like Michelle & John, you have the perfect mix for photos that warm our hearts. 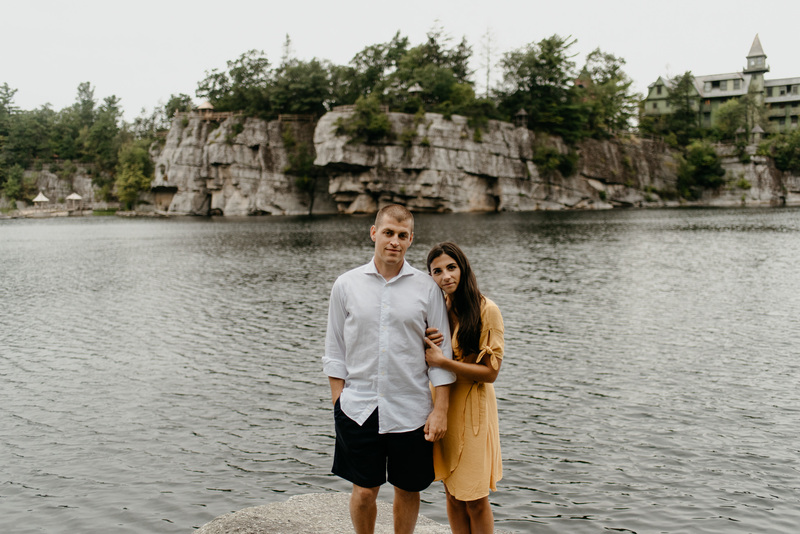 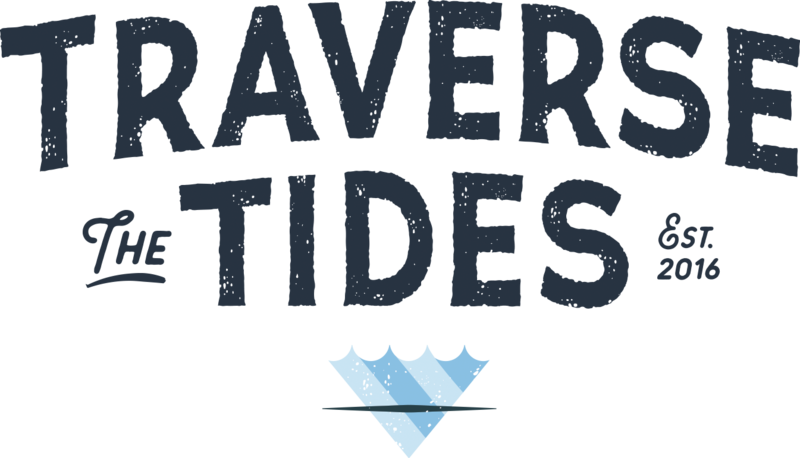 Michelle & John have spent a good amount of time here in the past so they led us to some amazing spots. 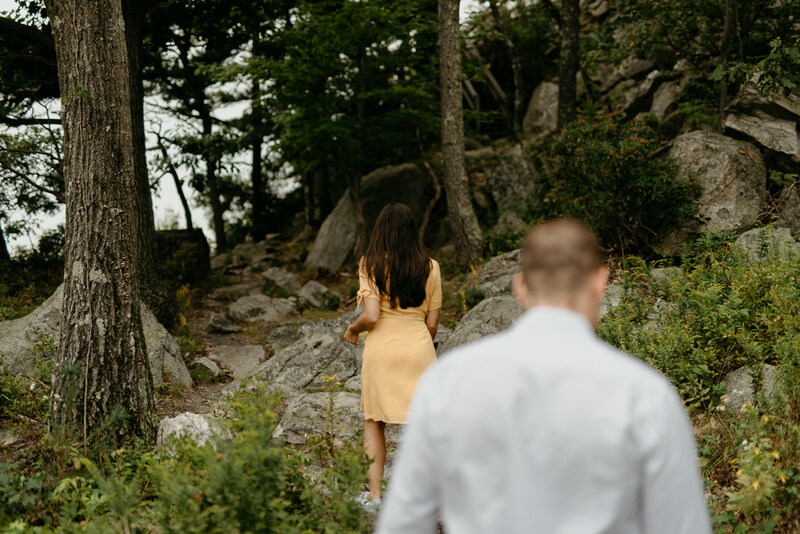 We spent a good two to three hours walking the trails with these two and we came across endless vistas (and luckily, zero snakes- AJ would have probably jumped off the side of a mountain). 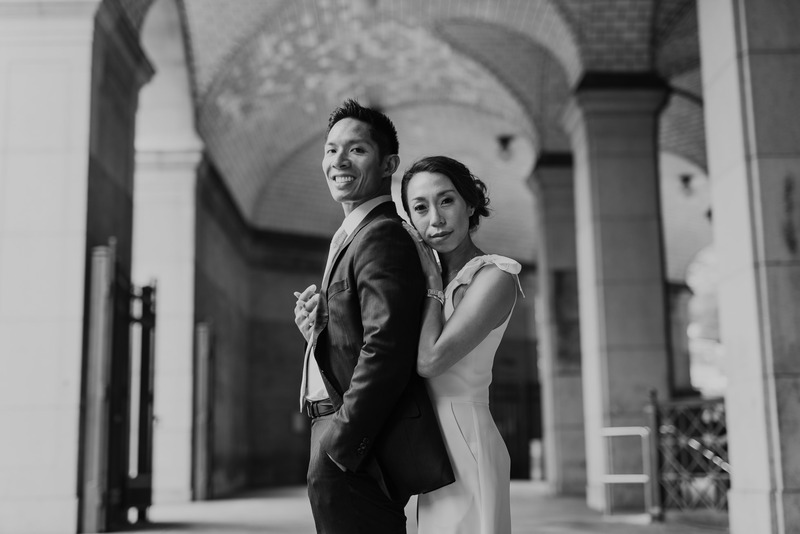 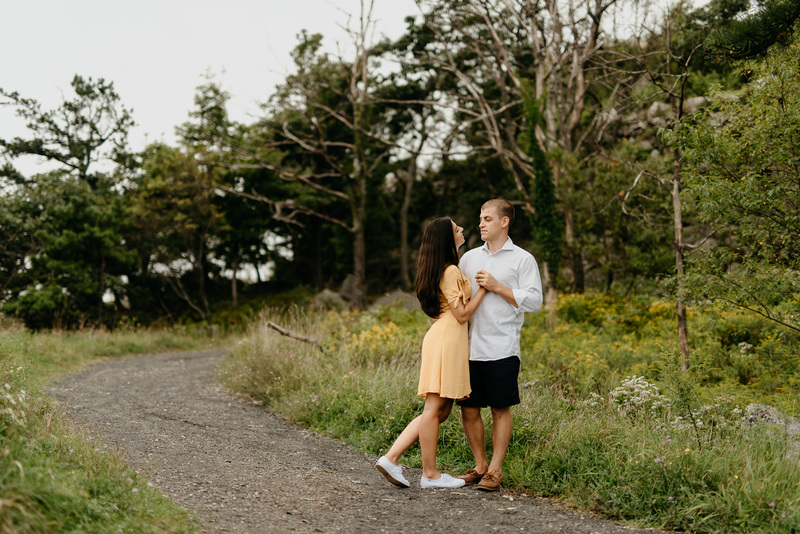 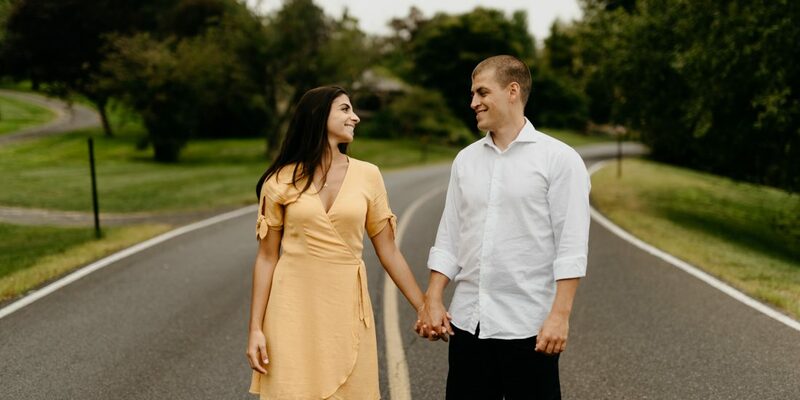 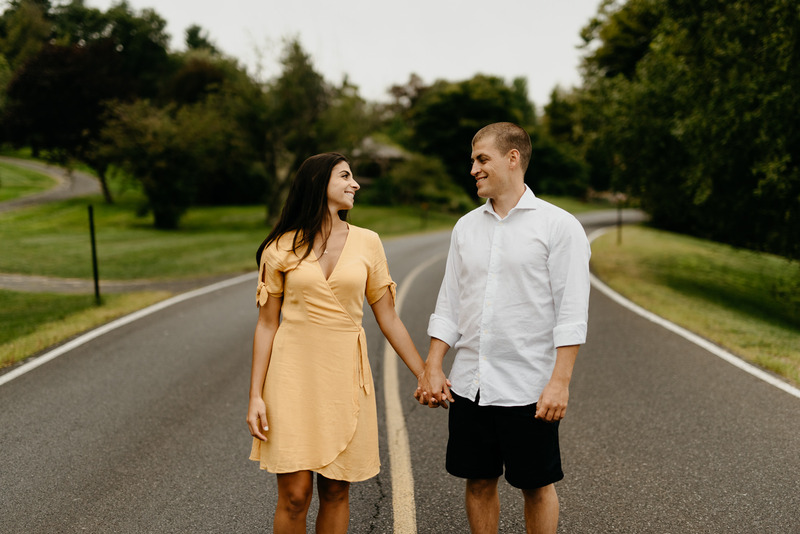 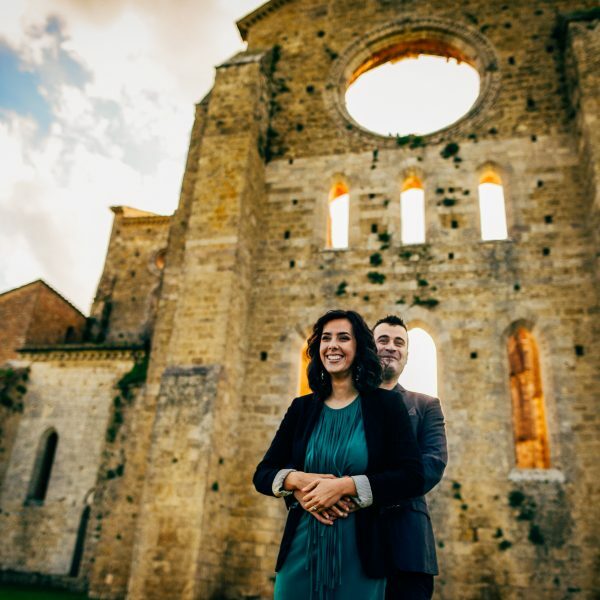 Can we just say how what you wear to your engagement shoot can make a massive impact to your photos? 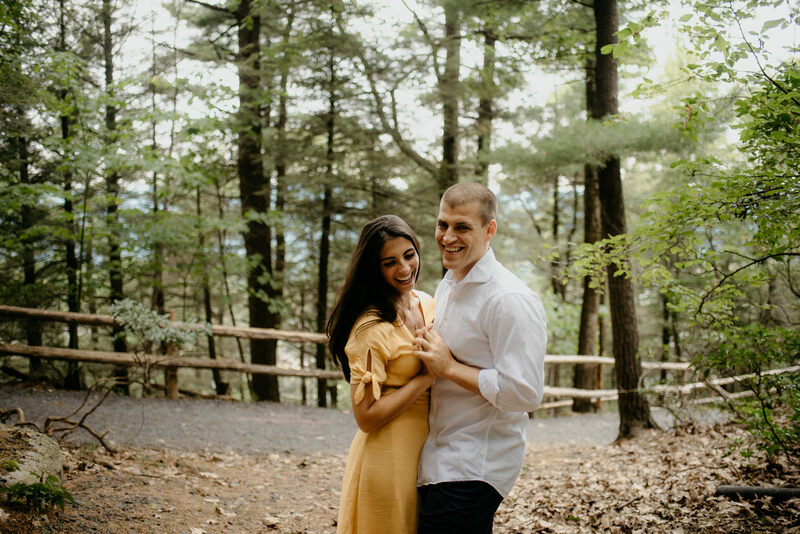 Case in point- Michelle wore this perfect yellow dress which complimented the warm greens of the trees so damn well. 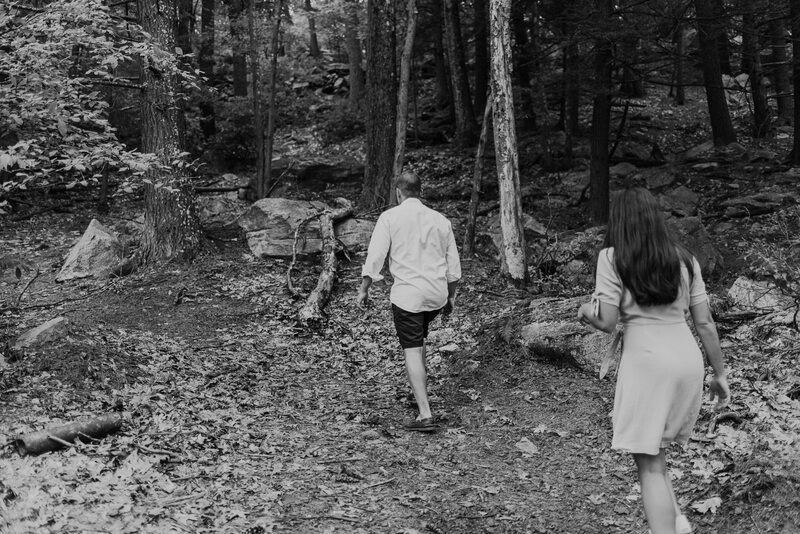 Clothes make a difference, just saying. 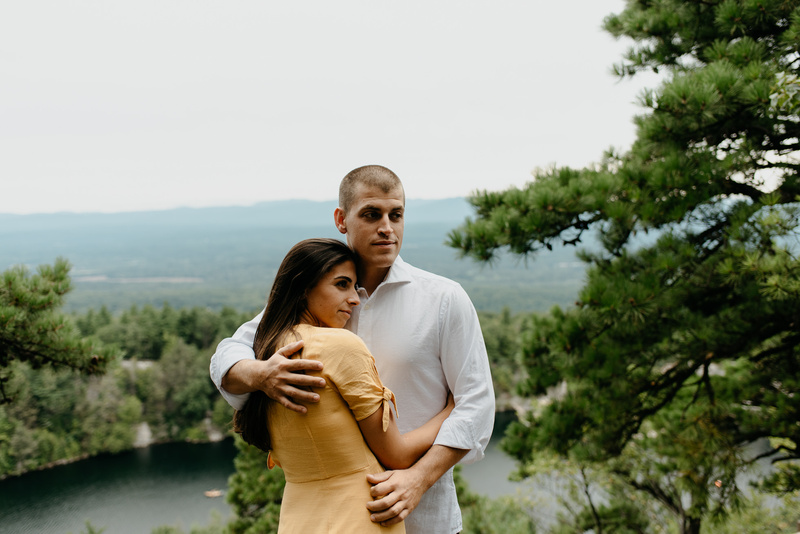 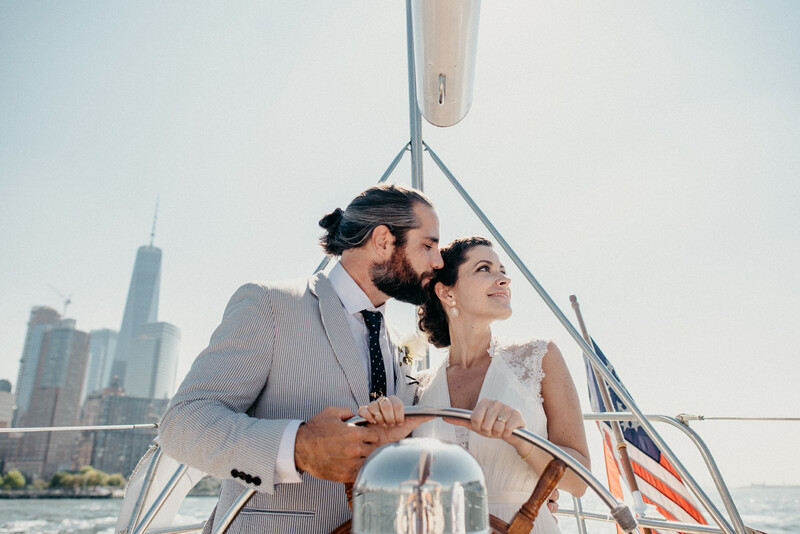 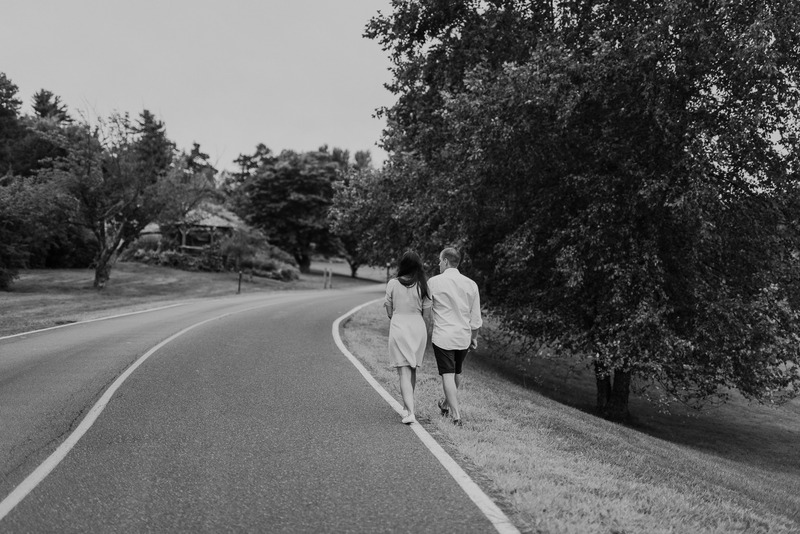 Check out these photos from this great day with this great couple. 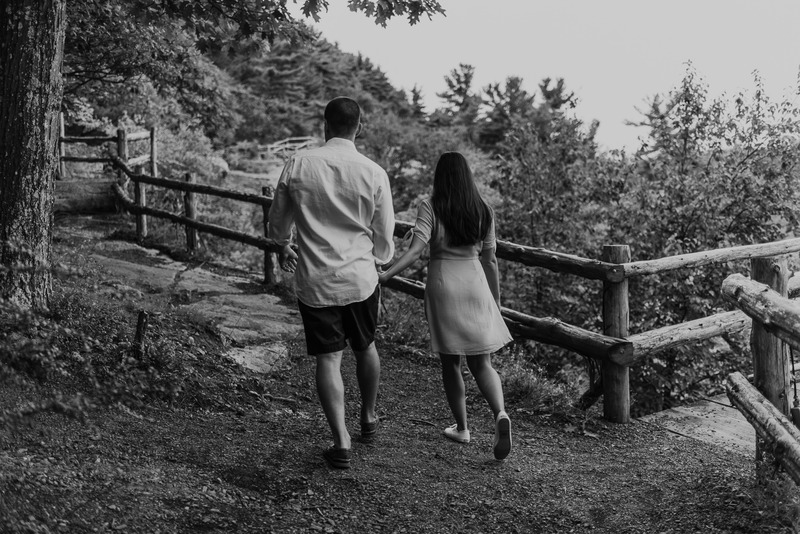 We are AJ & Jennie- find out more about who we are and how we work.